Buying a New laptop or PC is something very special and we all have many expectations from our new gadget. Most often Our new laptop only comes with a basic operating system, nothing else. If you have bought entry level laptops which comes in fairly cheap prices around 25000 INR. Since they are very cheap and company can’t afford to pay for software and costly OS, generally they are loaded with just basic Operating system or non profit OS like Ubuntu or Linux which is not that cool to use also new systems lacks all basic tools that every new user needs to get their basic tasks done. So here is a guide to show you what your computer can serve you with these essential free PC apps/ software that must be installed right away in your new laptop with free pc app. Here you will Find all must have PC applications that are free and required for your daily needs like music, photos, internet, file handling and other such purposes. There are lot of paid apps for PC which are no doubt advanced and more user friendly, but why not give these free PC software a chance as they can serve you equally and that too free. So don’t underestimate the power of free tools and give it a try. This list of Free apps for PC contains all latest software you must install in your new PC and make your New Personal computer more useful and handy. Most entry level Laptops comes with free OS like Linux or Ubuntu. These free open project operating systems lack functionality as well as user friendliness. A good OS is the main task one should invest his time on. Currently the Best OS you can get free in Windows 10. Microsoft has announced the Free Windows 10 upgrade and if your have any basic Old Windows , just upgrade your Windows with Windows 10. It’s free and user Interface is also very simple. So Ms Windows 10 is my first priority while installing any other Free PC apps software. The first thing which is required to run in a new laptop or PC is Internet browser. No need to Mention that d efault Internet Explorer is totally out of trend and very slow to surf net on. I am sure you must have heard many jokes and memes on rivals between Slow Internet explorer and fast and blazing other browsers. So after upgrading your OS you must get a browser which is fast and loaded with add-on to make browsing more easy and efficient. 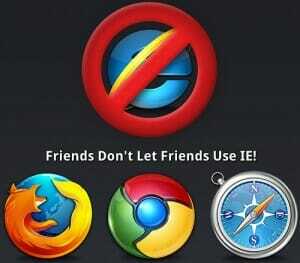 here are browsers which i personally recommend. You can download them from their official sites very easily. Anti Virus is a must have security software for every computer user. Online world is full of people spreading spy virus and break through your computer for illegal information collection and harm you in many ways. We all know Windows firewall is not enough to save your from virus and possible threats. There are powerful paid Anti-virus software are available but if you are looking for Free PC app for Anti virus support, i would recommend to go for AVG free Anti Virus or Avast antivirus. They have their paid versions also but they cover basic Anti Virus functions in their free versions too. You can download their latest versions from their websites. to optimize your computer with memory cleaning CCleaner is the best free option. It is mostly used PC optimization software which provide all in one solution for cleaning up junk files, Monitoring PC performance and Safe browsing. Ccleaner comes with paid plans too. Paid versions comes with automatic updates, schedule cleaning, Disk De fragmentation and File Recovery. Ccleeaner also introduced mobile app for optimizing android mobiles. Your best solution for Multimedia like video playing, video streaming and listening your favorite tracks on PC is Downloading VLC Media player. 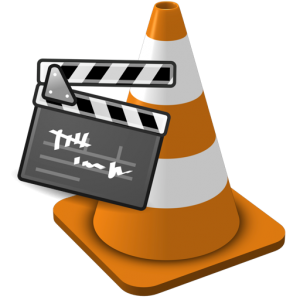 VLC player is a free open source media player which is portable. VLC is also available for Android mobile devices, i pad, i phone and tablets. Best part Of VLC media player is it supports maximum media file formats and provides live media streaming service too. In Short VLC is your all in one solution for Media playing needs for your new Laptop. although most people use Microsoft Office suite for their productivity needs. But if you are looking free alternatives ofr Office, then these tools might help you. Google Docs- Online Office Productivity suite. Steam is your on the go solution for Online game streaming and social networking. Steam provides the user with installation and automatic updating of games on multiple computers, and community features such as friends lists and groups, cloud saving, and in-game voice and chat functionality. Earlier it was designed for Microsoft Office , OS X and Linux only, but after it’s success it also launched for i OS and Android. So Steam is my personal favorite when it comes to online game streaming and smooth multiplayer games with your friends. Best free solution for Viewing, managing, printing, creating and manipulating PDF (Portable Document Format) Files. People claim other software for PDF files but i still like Adobe reader and Acrobat for managing and reading PDF files. It’s free and easy to use. Adobe Acrobat can be downloaded free as an PC App software from Adobe’s official website. there are also other free options available now days which almost took place of Adobe and have more features and functionalities for better manipulating of PDF files. This list is just a part of free software you should download and install in your new entry level laptop or PC. Stay tuned for more of Free apps for pc to get a whole satisfying personal computing experience specially you are a beginner and want your new laptop fully functional with free pc app and that to free.